Welcome to Wonderful World of Camp Gan Israel! We are committed to providing your children with a safe and highly stimulating camp program. All our activities – from sports and swimming, to crafts, trips and challah baking – are designed to enhance their self esteem, teach cooperation, increase their level of responsibility, and imbue them with our rich tradition of Jewish values, customs and culture. Our staff has been selected for their talents and abilities. Our counselors are chosen for their warmth, enthusiasm and experience to care for each child as an individual. On behalf of the entire camp staff, I thank you for enrolling your child/ren in Camp Gan Israel. 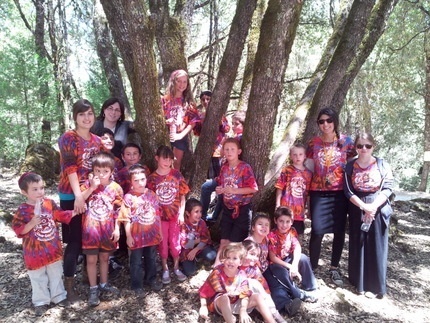 You will discover that your child/ren’s summer at Camp Gan Israel will be a summer of fun and adventure, which will be remembered for years to come. » Check Back Here Often! We are very excited to be able to offer this wonderful opportunity to the local Jewish community - a day camp infused with Jewish values, specially designed with your child in mind. This section of our website will be updated with the latest information about our camp - be sure to check back here often. Join us for inspirational services followed by Kiddush lunch. Start off the week with some Torah inspiration. Give your child a camp experience that will last a lifetime!